LAND OF HIDDEN FIRES by Kirk Kjeldsen - review will be on March 30. Nice! Hope you enjoy your reads for this week! Nice looking assortment of books. Come see my week here. Happy reading! I See You is good, but a bit slow. Windy City Blues was very good. 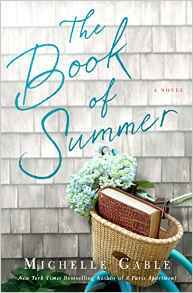 I have The Book of Summer from NetGalley! I'm excited to read it! Her books are always good and comfy. I love dual time frame novels, so I'm interested in The Dressmaker's Dowry. Looking forward to your review. Enjoy your week! I look forward to The Mother's Promise review. The books I have read by SH I have enjoyed. Oh yes...her books are always good. Windy City Blues sounds right up my alley. Adding it to my TBR for sure. I look forward to reading your upcoming review. I hope you get to read the book. Thanks for stopping, Melissa Lee.